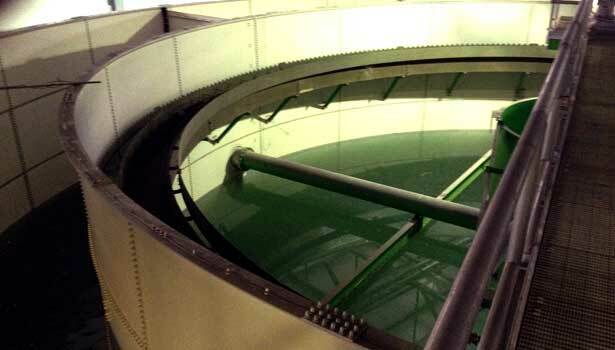 Dissolved Air Floatation is widely used for separating solids, fats, oil, and grease from a waste stream. 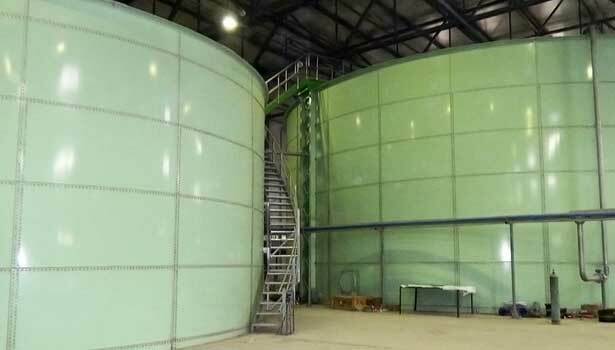 In the process, pressurized water is saturated with dissolved air and is discharged into a flotation vessel. The microscopic air bubbles attach to solids and float them to the surface, forming a sludge blanket. A scraping assembly skims the sludge off the surface of the water and into a sump. From the sump, sludge is pumped to dewatering equipment. 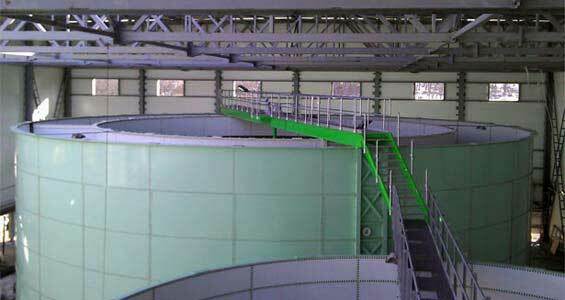 The treated water flows from the DAF vessel for discharge or on to other treatment processes. 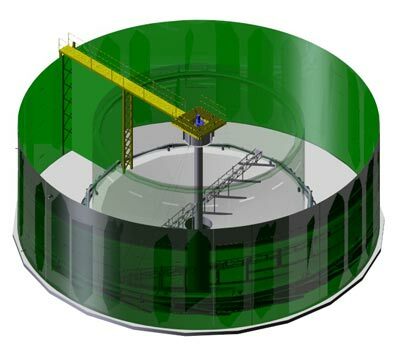 Click the image to the right to view a video of a VLT-Series Dissolved Air Flotation system in operation. 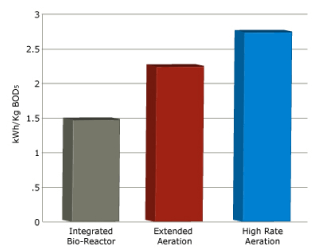 Composed of aerobic, anaerobic, and clarification zones, the IBR is designed to treat typical municipal wastewater. 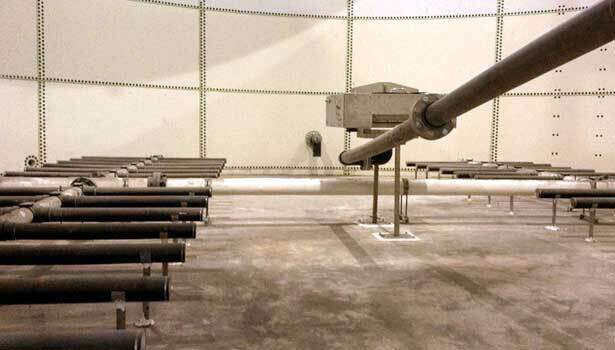 The operation and maintenance of the IBR is simple, as the system’s only moving mechanical parts are the aeration blowers, which drive air into the reactor. 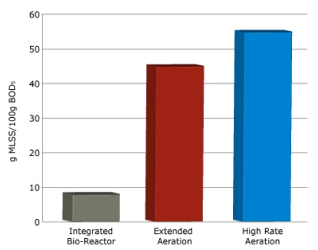 The Integrated Biological Reactor® has a vertical installation that results in a comparatively small footprint. 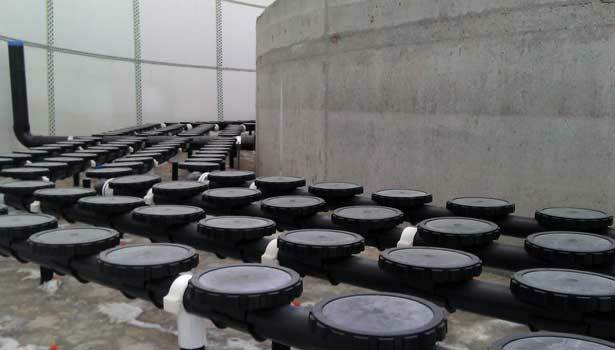 The vertical installation also allows for an increase in the oxygen transfer rate to the wastewater. The wastewater is aerated using atmospheric air; this air is aspirated to the liquid by passing it through an air blower and a series of diffusers. This results in a simple and effective aerobic process. 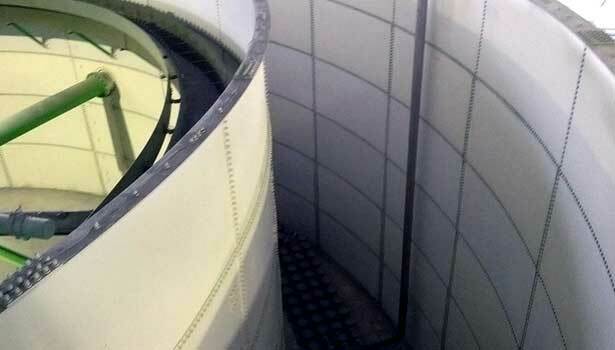 The air is discharged through the bottom of the bioreactor. At this point the air is released flowing upward from roughly twice the standard depth of a normal Activated Sludge system. This, in turn, results in greater efficiency of Oxygen saturation into the wastewater. The result of this retention time of air in the effluent, together with the perfect mixing of the extremely small micro bubbles of air with the liquid, creates the most effective and highest diffusion coefficient of oxygen in the water to date. 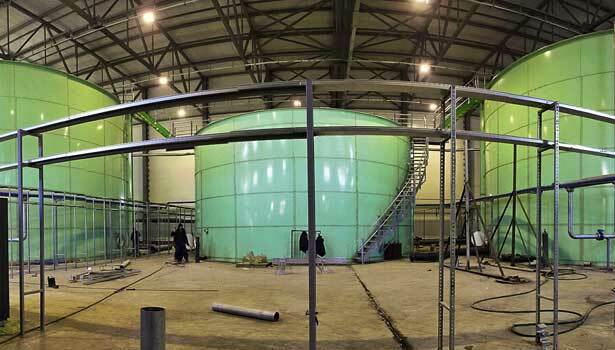 The 2.65MGD IBR system built at Russky Island, Russia has been fully automated and operational since the end of 2012. Our client was so impressed with the project that he left us with his endorsement and testimonial. 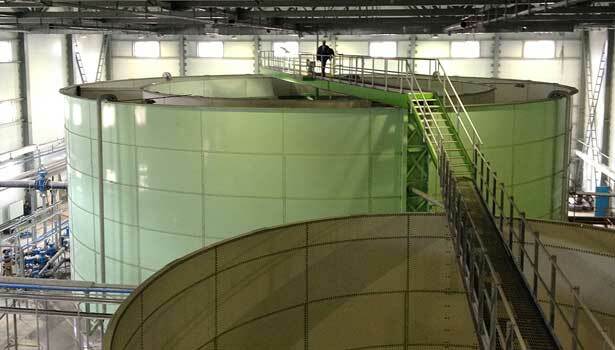 During his statement at a preparatory meeting for APEC 2012, former President of Russia, Dmitry Medvedev says that the new wastewater treatment facility alone was worth holding the summit at Russky Island.